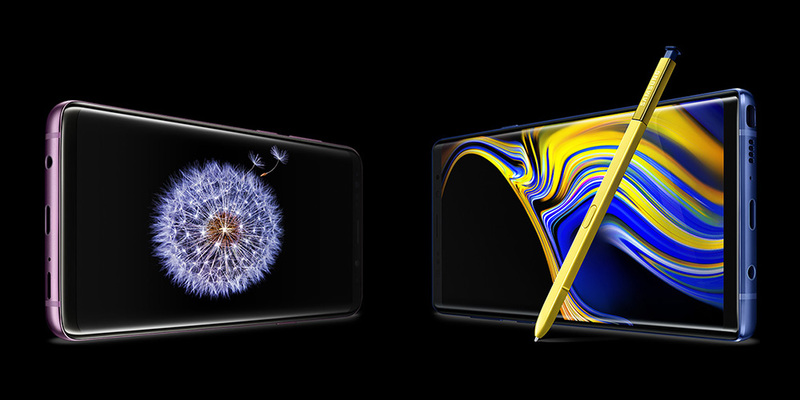 Samsung just kicked off a really big trade-in deal for Galaxy Note 9, Galaxy S9, and Galaxy S9+ purchases. For a limited time, they are doubling trade-in values, giving you up to $600 off any of those three phones. The deal starts today and runs through November 3, so you do have a little bit of time to decide. How does it work? As we’ve said in the past, Samsung has the best trade-in deal every year. They offer you an instant discount upfront for the phone you are trading in. That means you get a discount off your new Galaxy Note 9 or Galaxy S9 today. Depending on the phone, you could get $600 off a Note 9 right now. Once your new phone arrives, you ship them your old trade-in and they evaluate it to make sure its in the condition you described. Assuming it is, you go on about your day. Which phones give you the $600 off? A Galaxy S9+ trade will get you $600 off, as will an iPhone X or iPhone 8 Plus. An iPhone 8 will get you $550 off, while a regular Galaxy S9 or Galaxy Note 8 will get you $500 off. Other notable trade values are the Pixel 2 XL at $400 off, Galaxy S8+ at $450 off, and LG V30 at $300 off. The last time Samsung ran this deal for the Note 9, they gave up to $450 off, which we thought was good. This is, obviously, a better deal.